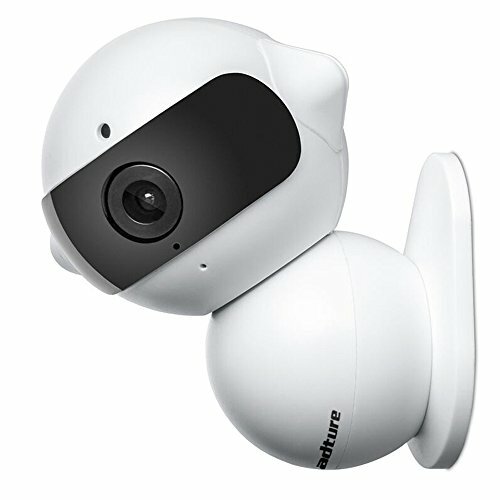 Dual-HD - This security camera has 1.3MP 1280x960P video quality, the picture quality is quite good at SD, but even better at HD, which is true high definition and watch your home with clarity. IR Night Vision - Internal 8pcs TYNTEK infrared lights, effectively improve night vision clarity and configured 2MP Industrial-grade high-definition lens and using ICR dual filter switch, images looks more realistic, quality always maintain best performance in different light environment. Two Way Audio - Built-in speaker and microphone. HD video and audio transmission, support live two-way pronunciation, intelligent noise reduction, clear sound pick-up. Car DVR Function - This IP camera comes with AP hotspot, search and connect directly through the mobile phone APP; it can be fixed on the car dashboard and used as driving recorder; direct AP function contributed to more extensive use of the camera. 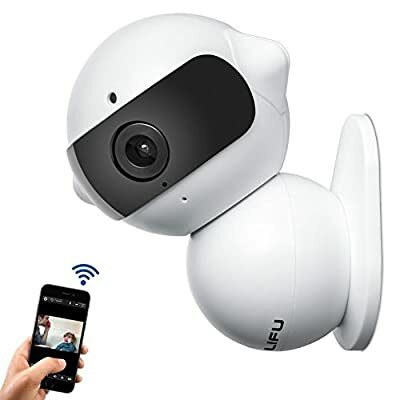 Pan/Tilt - This robot WiFi camera has strong magnetic body and 360 degrees rotation angle, the camera rotation angle you can adjust arbitrarily, strong magnetic base can be adsorbed on the metal objects directly.